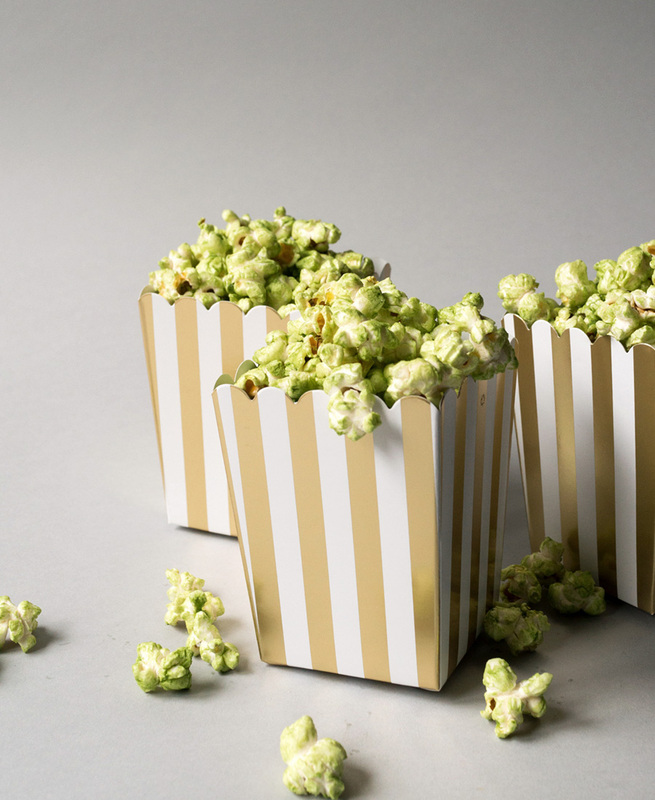 Add a green tea twist to your popcorn with this matcha stovetop popcorn recipe. If you’ve never made stovetop popcorn at home, you’re missing out! My sister introduced me to stovetop popcorn last year and now, it’s the only kind of popcorn I eat. I couldn’t believe how easy it was to make and since then I’ve been experimenting with different toppings. 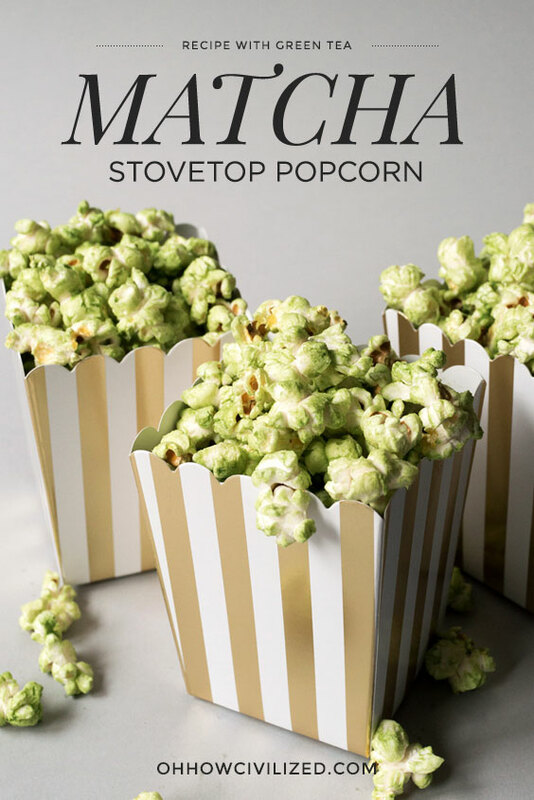 This matcha green tea popcorn was my favorite and I kept tweaking the recipe until I got it just perfect. You want good quality but not the most expensive. Get the brightest green in the $15 – $30 range. THIS IS THE BEST SALT EVER. To combine all the ingredients together. To sift the matcha so that there aren’t any clumps. This is a workhorse in my kitchen. If you’re getting just one pot for the kitchen, this needs to be it. 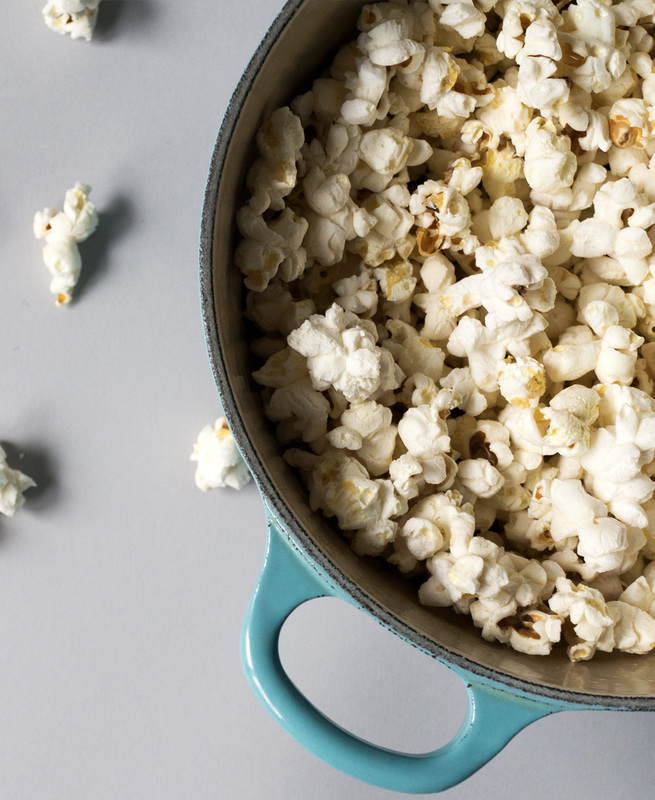 No other popcorn tastes as good as stovetop popcorn made at home. It’s also the perfect snack. From experimenting, I really like the combination of salt AND sugar on my popcorn. Years ago, at a movie theater, I accidentally sprinkled sugar on my popcorn thinking it was salt. (The sugar was in salt shaker.) I was so disappointed after the first bite thinking I had ruined an entire box of popcorn but after a couple of more bites, I was hooked. I always make my stovetop popcorn in my 2 quart Dutch oven. You don’t even want to know how many times I’ve made this to figure this out or the huge messes I’ve made trying to contain overflowing popcorn. By the way, that Le Creuset pot is used constantly. I used it to make shabu shabu, rice, vegetables, and boil pasta. It’s the perfect size for 1-2 people. 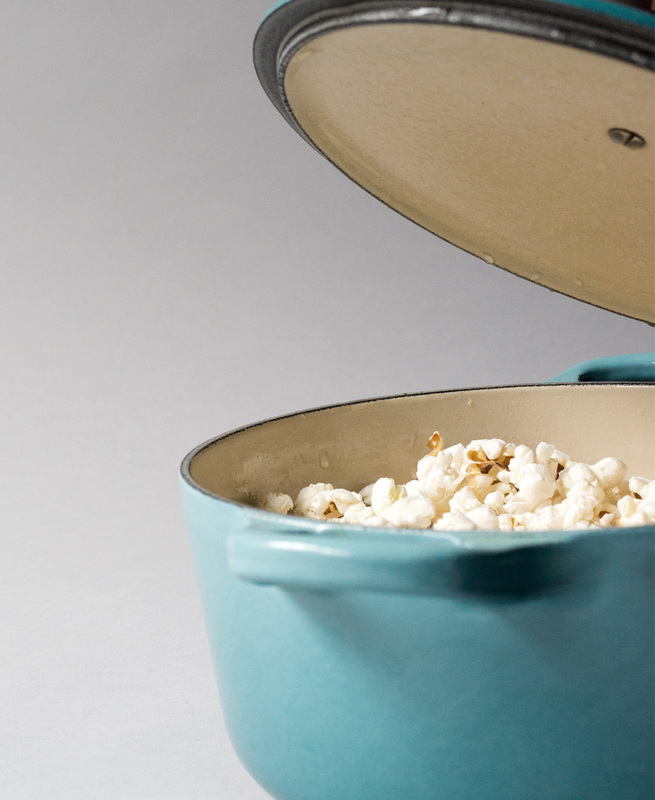 Once you’ve had a taste of stovetop popcorn, you’ll have a hard time going back to store-bought bags. The secret ingredient to my matcha stovetop popcorn recipe is clarified butter, also known as ghee. Butter is made up of butterfat, milk solids, and water. 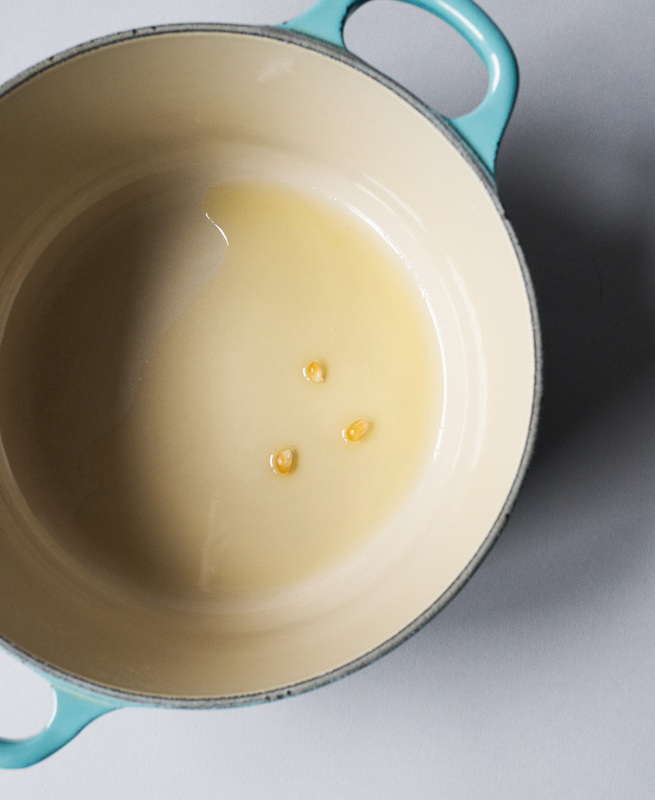 Clarified butter is the butterfat you’re left with after simmering butter on low heat. It has a high smoke point so you can cook on high heat without burning AND because there is no water content, it works amazingly well for popcorn toppings since it doesn’t make the popped kernels soggy. Mixing the popcorn with the matcha topping can get VERY messy. I used my bare hands since it was hard to get it to mix using anything else. So just be prepared to get green hands. 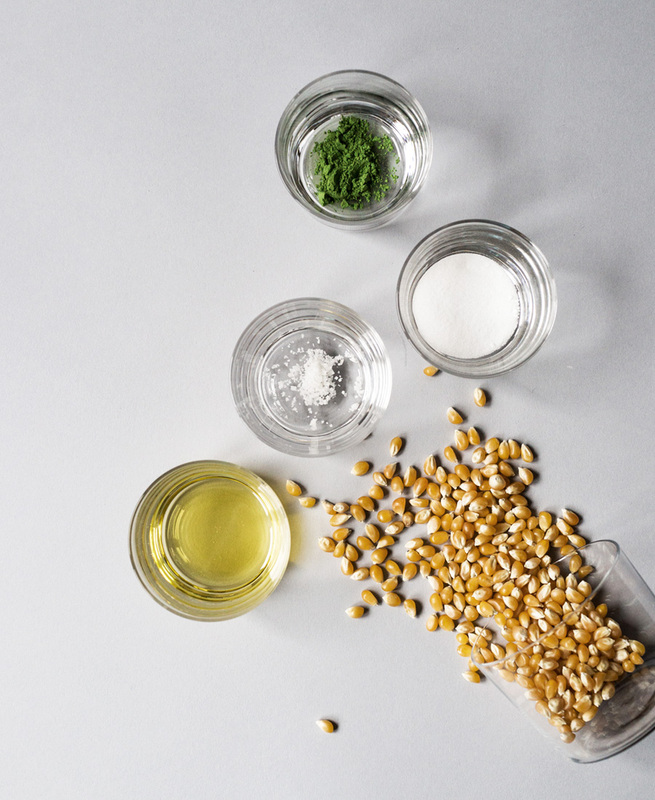 Using clarified butter is what keeps the popcorn from getting soggy from the topping so make sure you use that instead of regular butter. Don’t leave the popcorn on the heat unattended. It can burn quickly if you’re not moving the popcorn around in the pot. 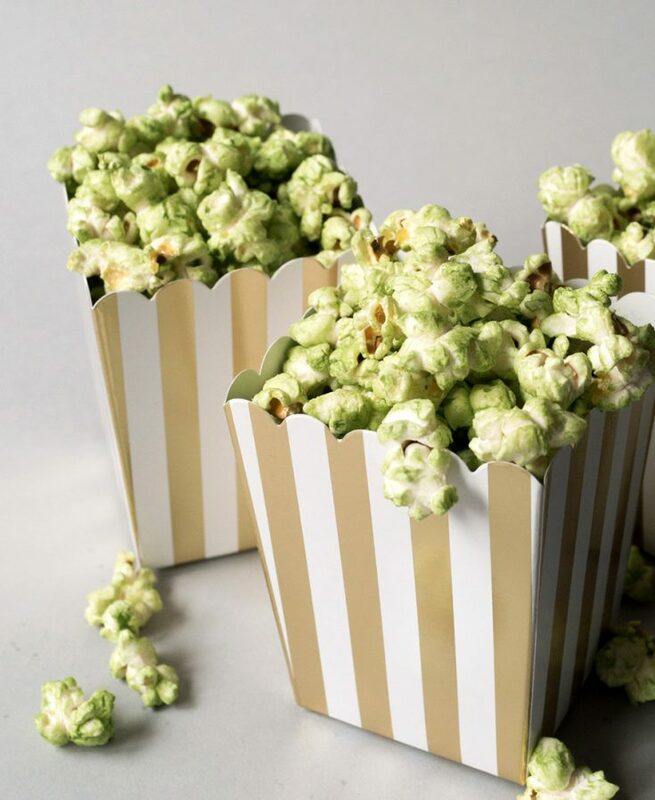 Add a green tea twist to your popcorn with this matcha stovetop popcorn recipe. 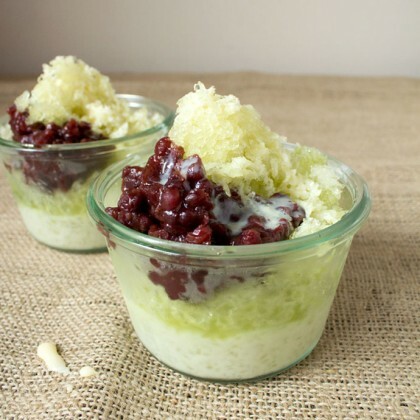 Combine in a large mixing bowl all matcha topping ingredients: 4 tablespoons of clarified butter, sugar, and salt. 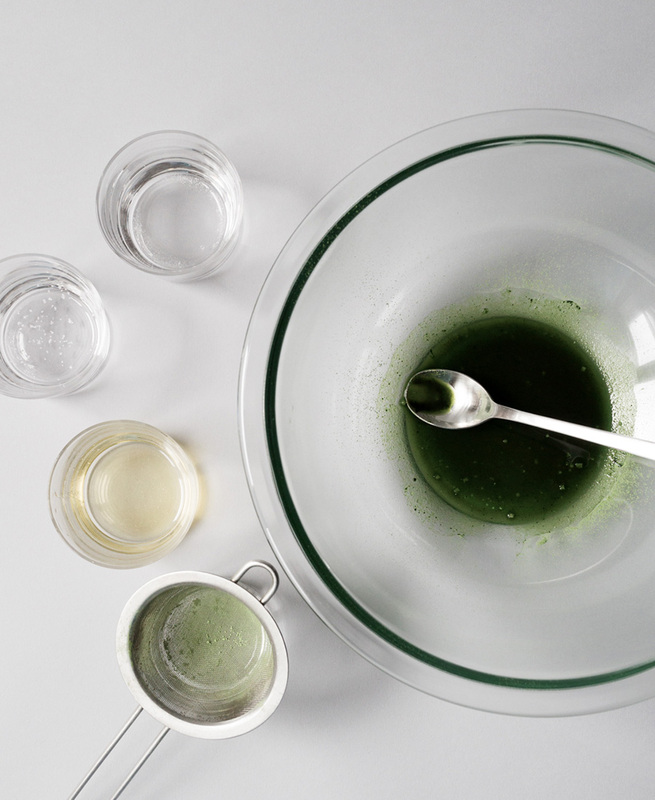 Sift in matcha and combine until matcha is well incorporated. Set aside. In a medium size pot (I used my 2 quart Dutch oven) add 1 1/2 tablespoons of clarified butter and three kernels and close the lid. Turn heat to medium-high and wait for a kernel to pop. Once you hear a kernel pop, add in the rest of the kernels and close the lid. Every 30 seconds give the pot another shake until the popping slows down to 4-5 seconds between pops. Turn off heat and slowly open lid to let steam escape and pour some of the popcorn into the mixing bowl with the matcha topping. 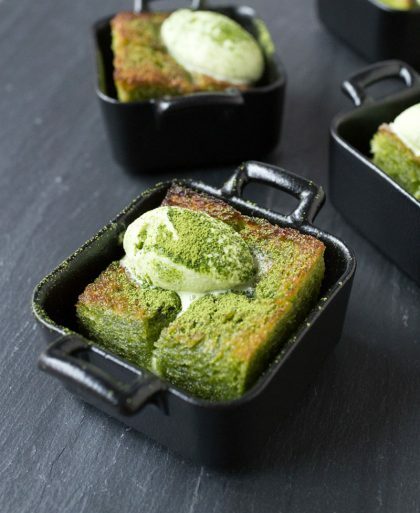 Coat the popcorn with the matcha topping and serve immediately. Don't dump the entire pot of popcorn into the mixing bowl because it'll be hard to get an even matcha coating since you won't have enough room in the bowl. Add in scoopfuls at a time. This is something really unique idea for me. I will try it.